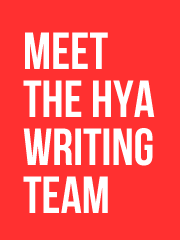 HYA is the best t-shirt blog of 2010, yay! You may remember me mentioning the voting for the Everyguyed Network’s ‘Cravat’ awards for several blogging categories, of which HYA was nominated for best t-shirt blog of 2010. Well, I won, with 42% of the vote in the category. It’s awfully nice to win something, though I must admit that the award does ring a bit hollow considering that there were some notable absentees from the list of nominees. Thank you very much to the 123 people that voted for Hide Your Arms, it’s very nice of you, it feels good to have my work recognised, especially when it’s by anonymous people, not just those who write e-mails saying they love my blog… and can I write something about their brand! Personally, I don’t feel that HYA has been as good as it could be this year, it started out well with the redesign but since then I don’t feel I’ve been able to meet up with my own expectations of how the site should be growing. I feel that this is because of needing to spend time on my other job, which has a tendency to take precedent over HYA. Perhaps I’ve also been a bit too focused on my other websites (some of which are live, some of which are only alive in my head at the moment) when I should have been working hard on the site that I’ve spent almost 5 years building, instead of spreading myself out over ideas that I feel have a lot of potential but maybe just don’t have the time for at the moment. I didn’t really want this post to turn into a retrospective of the year and how I’ve just been too damn busy, but the coming of a new year tends to make you think about the past, and also about the future, in which I hope to actually deliver on promises more often than I have this year. 2011 will mark HYAs 5th year of existence, which does make it rather old in internet years, but hopefully I’ll be able to inject some youthful vigour and deliver our best year so far. As ever, thanks for reading, thanks for subscribing, thanks for buying tees, and thanks for sending in all the news tips. Congratulations, Andy, you deserve it! Congratulations! I recognize your point. Congrats man, something for the mantelpiece..
NEW YEARS RESOLUTION, GET BACK TO ZERO, I ran myself over 1 million USD $ in debt daytrading stocks. But hey, it pushed me into a long filled dream of putting my art on Tees, just a very expensive fork in the road. No guts, no glory. Congrats man, love the site…keep up the good work. 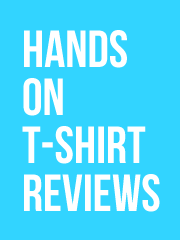 Previous post: Sales Roundup: Threadless, DBH, Seventh.Ink & More! Next post: Comment on this blog post and win a t-shirt from Design By Humans!